Indoor LED track light with incorporated electronic gear and 24 high power LEDs. Accompanied by high quality reflectors with three different beam spreads available. Improved colour rendering index +90 and anti dazzle shade integrated as standard. 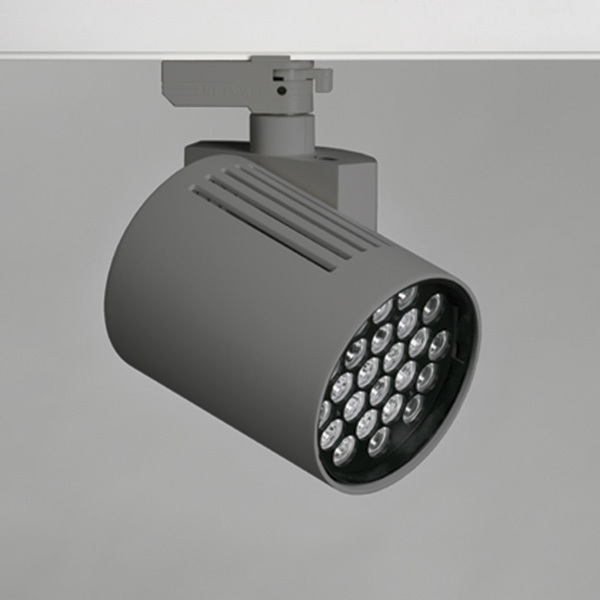 Lamp housing of die-cast aluminium for optimal cooling, long lifetime and low weight.